To celebrate the 400th anniversary of Henry Hudson's trip up the Hudson River, Academy Award-nominated filmmaker Josh Aronson spent the past year searching out fascinating people and cultures of the Hudson River Valley. He's made this series of short films for THIRTEEN. Footage of an “ice yacht” in action: the in Athens, NY, which was built in 1885 in Carthage Landing (now Chelsea), NY. An interview with its captain, Reid Bielenberg. Dream Alive To connect the Manhattan Greenway and Old Croton Aqueduct Trail in Yonkers. The three-person team, from Community Board 8 in Riverdale, is holding public meetings in hopes of finding a way to finally build a waterfront path on the Hudson from Manhattan to Yonkers. SABO, ROBERT/SABO, ROBERT The bid to build a waterfront path on the Hudson River through the Bronx is now being brainstormed by a new committee at a Riverdale community board. It's still the missing link. A trio of Bronx activists are breathing new life into an old pipedream to build a waterfront path on the Hudson River, connecting the Manhattan Greenway and Old Croton Aqueduct Trail in Yonkers. “It’s too good of a resource not to take advantage of,” said Bob Bender, one of the three members of Bronx Community Board 8’s new special committee created to tackle the long-desired Hudson River Greenway project. The park-loving committee — composed of Bender, Phillip Friedman and Laura Spalter — plans to meet monthly at the Riverdale community board to work on securing funding for an engineering study to analyze the project’s feasibility. Park advocate groups, including Friends of the Hudson River Greenway, have pushed for such a link for nearly 20 years. Since 2010, Riverdale neighbors have hosted an annual Riverfest bash to drum up support for the idea. Bender says the small group’s greatest challenge will be working with Metro North, which currently operates a rail line adjacent to the proposed path location. “Metro North will continue to work closely with the community to explore the feasibility of this project,” an MTA spokeswoman said. Bender said the committee may pitch a project with a flood protection component, to protect the tracks and create a walkway at the same time. “There might be a way where we can both develop the greenway and fortify the waterfront at the same location,” he said. I live in one of the few buildings in New York that still has a manual elevator. When I ask the operator on the morning shift how he's doing, his well-oiled response is "up and down." For the last 160 years, elevators have travelled a predictably vertical path. But that will soon change, when the German manufacturer ThyssenKrupp introduces the first fleet of cable-free cars that can also move sideways. The system, dubbed MULTI, will allow multiple cabs to motor along a single, looping shaft. The cars move by magnetic levitation (the same technology behind some high-speed trains), rather than being pulled by the heavy steel ropes that limit how high skyscrapers can stretch. With MULTI, architects will be able to build spindly towers on small plots formerly deemed untenable for high-rises. That will become increasingly important in cities like New York, where demand for real estate will continue to grow but available land is scarce. “From an industry standpoint, elevators have been a detractor to slender, tall buildings going to the heights that are technically feasible,” says Patrick Bass, ThyssenKrupp’s senior vice president for research and development. The ropeless MULTI takes up half the shaft space to move the same number of people, albeit in more cabs. And because the elevators aren’t weighted down by hefty rope, there's no limit to how far up they can ascend. ThyssenKrupp is coy about how much MULTI will cost but claims that the upfront expense will be offset by income generated from rentable space the system will free up. For towers over 300 meters tall, Bass says the system should pay for itself in under 10 years. Not only does the shaft take up less room, but the multiple cabins reduce the need for large lobbies to accommodate queuing passengers. The company estimates wait times for MULTI to be 15 to 30 seconds, even though the cars will be traveling only 5 meters per second, or 11 miles per hour. By contrast, the elevators at One World Trade Center, also from ThyssenKrupp, are twice as fast, but the high speed can cause discomfort for people whose ears are sensitive to pressure changes. “Per year, New York City office workers spend a cumulative amount of 16.6 years waiting for elevators, and 5.9 years in the elevators,” said Andreas Schierenbeck, CEO of ThyssenKrupp Elevator, in a company press release. “This data provides how imperative it is to increase the availability of elevators.” And MULTI can do that by adding more cars without more hoistways. For architects and builders, the revolutionary elevator technology opens up opportunities to experiment with unconventional shapes and groundbreaking heights. “The mile-high building is easily achievable—as would be a two-and-a-half-mile building,” Olley says. But he’ll have to wait until at least 2016, when ThyssenKrupp will finish building a test tower in Rottweil, Germany. Lanks is the design editor of Businessweek.com. Upcoming @ "The Music Hall"
Vienna Boys Choir "Christmas in Vienna"
Tower of Power "A Pre New Year's Eve Party"
Based on the 2012 WFF Best Short Film Curfew, which went on to win the 2013 Academy Award® for best live action short, Before I Disappear opens November 28 at the IFC CENTER in NYC and other cities including North Hollywood, CA, Santa Fe, NM, Scottsdale, AZ, Houston & Lubbock, TX, Coral Gables, FL, New Orleans, LA, Greensboro, NC, and Baton Rouge, LA. For a full list of theaters and cities, check out Before I Disappear on Facebook. Before I Disappear follows Richie (Shawn Christensen), a man who is very much inclined to commit suicide. After facing his end and deciding to take his own life, he receives a phone call from his younger sister, Maggie (Emmy Rossum of Shameless), begging him to look after her daughter for a few hours. Willing to withhold death for a little while longer, Richie agrees to take care of his niece, Sophia (Fatima Ptacek). What follows is an intensive glimpse into the life of a man who believes he has nothing to lose. Between his shady job with a menacing boss (Ron Perlman), a drugged-out friend with a bad temper (Paul Wesley of The Vampire Diaries), and an ominous twist that throws everything out of whack, Richie must find a way to hold on to what little life he has left in order to take care of his quick-witted, hard-hitting, alarmingly determined niece. Starring fan favorite Benedict Cumberbatch, The Imitation Game a biopic about WWII hero Alan Turing was an official selection of the 2014 Woodstock Film Festival. During the winter of 1952, British authorities entered the home of mathematician, cryptanalyst and war hero Alan Turing (Benedict Cumberbatch) to investigate a reported burglary. They instead ended up arresting Turing himself on charges of ‘gross indecency’, an accusation that would lead to his devastating conviction for the criminal offense of homosexuality – little did officials know, they were actually incriminating the pioneer of modern-day computing. Famously leading a motley group of scholars, linguists, chess champions and intelligence officers, he was credited with cracking the so-called unbreakable codes of Germany's World War II Enigma machine. An intense and haunting portrayal of a brilliant, complicated man, The Imitation Game follows a genius who under nail-biting pressure helped to shorten the war and, in turn, save thousands of lives. Directed by Morten Tyldum with a screenplay by Graham Moore, the film stars Benedict Cumberbatch, Keira Knightley and Matthew Goode. made its East Coast debut at the 2014 Woodstock Film Festival . Crescent Bay is not the best place to live out one's golden years. Once an idyllic retirement community, the secluded neighborhood has been beset by mysterious and deadly attacks. When grizzled war veteran Ambrose McKinley (Nick Damici, Stake Land) moves in, the residents immediately take offense to his abrasive personality. But his take-no-prisoners attitude is just what he needs to survive as it becomes clear that the increasingly violent and patterned attacks are being caused by beasts that are neither animal nor man, and that the tight-knit community of Crescent Bay is harboring something truly sinister in its midst. Written by Under The Bed scribe Eric Stolze, Late Phases is Dark Sky’s latest horror offering that stars Nick Damici, Ethan Embry, Lance Guest, Erin Cummings, Rutanya Alda, Tina Louise, Caitlin O’Heaney, Karen Lynn Gorney, Dana Ashbrook, and Tom Noonan. Little White Lie, by Woodstock filmmaker Lacey Shwartz, made its New York premiere at the 2014 Woodstock Film Festival. The documentary takes a look at her own complicated family upbringing. MAGICIAN: THE ASTONISHING LIFE AND WORK OF ORSON WELLES looks at the remarkable genius of Orson Welles on the eve of his centenary - the enigma of his career as a Hollywood star, a Hollywood director (for some a Hollywood failure), and a crucially important independent filmmaker. 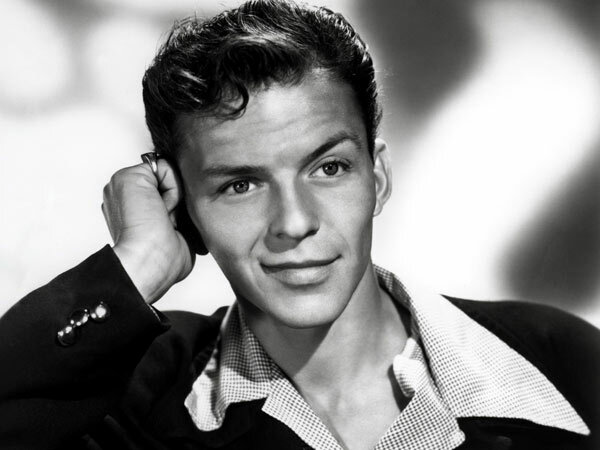 Orson Welles's life was magical: a musical prodigy at age 10, a director of Shakespeare at 14, a painter at 16, a star of stage and radio at 20, romances with some of the most beautiful women in the world, including Rita Hayworth. His work was similarly extraordinary, most notably Citizen Kane, (considered by many to be the most important movie ever made), created by Welles when he was only 25. In the years following Citizen Kane, Welles’s career continued to change as he made film after film (some never finished, many dismissed) and acted in other projects often to earn money in order to keep making his own films. Magician features scenes from almost every existing Welles film, from Hearts of Age, (which he made in a day when he was only 18 years old) to rarely-seen clips from his final unfinished works like The Other Side of the Dream, The Deep, and Don Quixote, as well as his television and commercial work. The powerful documentary, Mentor was an official selection at the 2014 Woodstock FIlm Festival. At first glance, Mentor, Ohio, seems like any other wholesome midwestern town, even earning a spot in Money Magazine’s 100 Best Places to Live. But Mentor’s tree-lined streets and marching bands could not prevent the spate of teen suicides caused by relentless bullying and an indifferent school system. The Vidovic family came to Mentor to escape the war in Croatia only to have their daughter Sladjana commit suicide at age 16 after years of relentless bullying. More interested in maintaining its image than in helping protect vulnerable students, Mentor High School failed to punish the perpetrators. Eric Mohat, 17, hardly seemed the type to be targeted by bullies. Active in musical theatre, he seemed like a happy kid. Until the day he committed suicide, the family had no idea of the bullying he endured. The Rosendale Theatre presents a benefit concert for the Rondout Valley Food Pantry's Weekend Backpack Program. Spiral Up Kids has been sound-tracking the family experience since 2009. Their improvisational and interactive shows unite audiences young and old with spirited sing-alongs, impromptu audience participation, and most importantly lots of wild and crazy dancing! Spiral Up Kids blends an earthy jamband style with layers of sweet vocal harmonies to create an originally infectious roots based sound. They will be joined by keyboard wizard Marco Benevento who has been fronting and touring with his own band for several years. He is currently touring and promoting his new album Swift. Benevento also plays with The Grateful Dead’s Phil Lesh and Friends and Joe Russo’s Almost Dead. Upstate Films is presenting a special free screening for its members of Frank Capra's classic IT'S A WONDERFUL LIFE. You've seen it on DVD or television, but catch it on the big screen. Hurry now and become a member of Upstate Films so you can be a part of this special screening. The screening will be Saturday, December 20 at a time to be determined. Check the Upstate Films Website for more information. 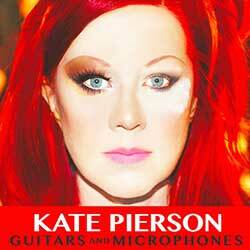 Kate Pierson, founding member of the B-52's, has announced her debut solo album. It's called Guitars and Microphones, and it's out February 17 via Lazy Meadow/Kobalt. Below, check out the video for the single "Mister Sister", which stars Fred Armisen and was directed by Monica Coleman. On Guitars and Microphones, Pierson collaborated on songwriting with the album's executive producer, Sia. The LP was produced by Tim Anderson and also features the Strokes' Nick Valensi. 'Tis the season. Up go the sparkly lights, on go the hats and gloves. There are trees to trim, candles to light, gatherings to plan, presents to wrap, and there never seems to be quite enough time for it all. Much too easily, this most wonderful time of year can become the most hectic. Here’s a suggestion: there is no better way to revive your holiday spirit than a pause, a deep breath, and an afternoon or evening spent enjoying great music that celebrates the season. 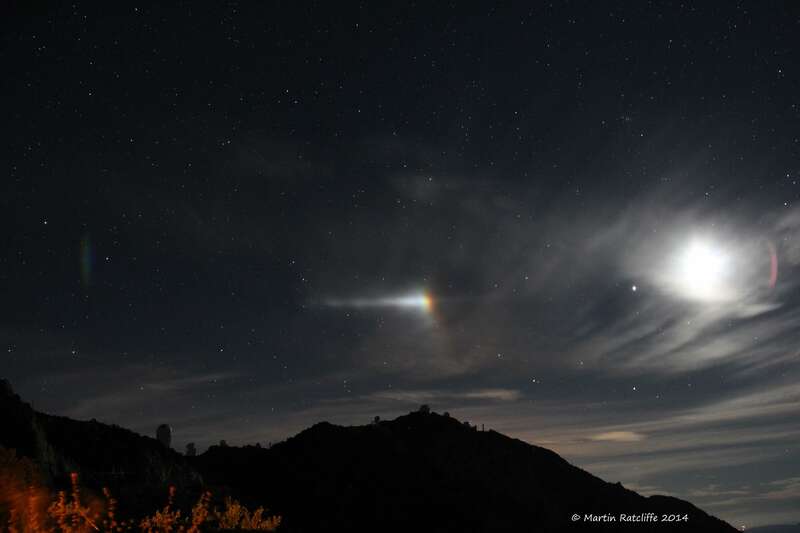 This year at The Center, we have planned a weekend’s worth of events for you to enjoy. We hope you will join us! A heart-warming event featuring Rob Mathes and his band of All-Stars performing original tunes, holiday classics, and Mathes favorites to put you in the spirit of the season. A full choir and horns section will round out Mathes’ world-renowned bluesy, spiritual, pop, and rock sound. Be a part of this PAC holiday tradition! The Rob Mathes Holiday Concert is proud to support Connecticut Food Bank with a food drive during both concerts. Our Concert Hall will once again reverberate with the glorious sound of Handel's Messiah and its “Hallelujah Chorus” as Musica Sacra takes the stage, straight from Carnegie Hall, in their first ever Westchester appearance. The chorus and orchestra will be led by one of America’s leading choral conductors, Kent Tritle. Please note: Discounts are subject to availability. May not be applied to previously purchased tickets or combined with other offers. Offers expire on December 17 at 6pm.